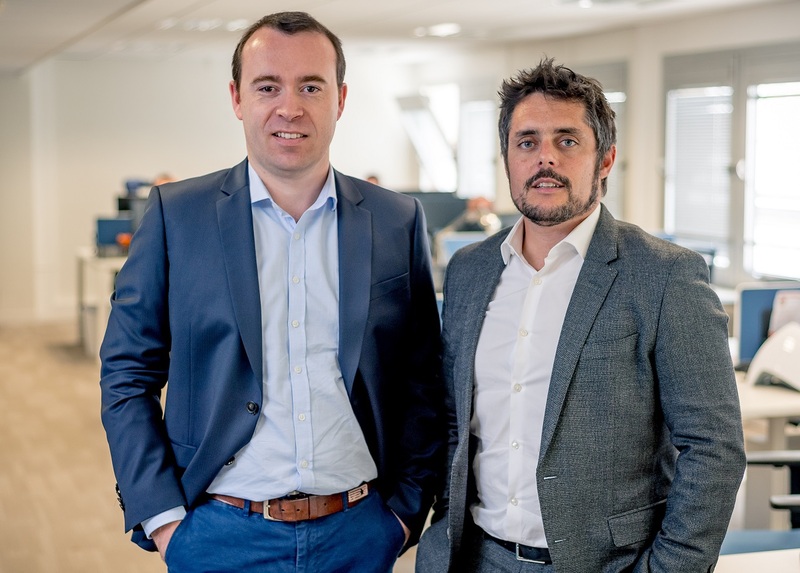 In this interview with Centreon, Loïc Fontaine, Owner and Technical Director of Lolokaï Conseil, a France-based IT monitoring consulting boutique with clients as far as the South Pacific, and a long-time Centreon convert, shares his approach to building his business. Lolokaï Conseil offers expert IT monitoring services based on Centreon’s software solutions, as well as services for help desk integration. 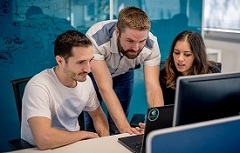 A Certified Centreon EMS Partner and enthusiast for years, Lolokaï Conseil is expanding their service offering to include IT monitoring training. The consulting firm recently became a Centreon Certified Trainer. Read Loïc’s success story to discover how you can leverage Centreon’s Partner and Trainer programs to build your business and deepen relations with existing clients. Centreon: Hello Loïc, can you start by telling us a little more about yourself and your company? Loïc Fontaine: Sure! I am the Owner and Technical Director of Lolokaï Conseil, which I founded in 2013. Lolokaï Conseil centres around two lines of expertise: computer monitoring expertise based on Centreon’s open source and licensed software solutions, and helpdesk integration with Teclib’s GLPI open source tool. As you know, we’ve been partnering with Centreon since 2014. We support a range of clients, from SMEs to large enterprises, across Europe, in the Indian Ocean, as far as New Caledonia in the South Pacific—and very soon in Tunisia, North Africa. Our teams are based in France and in Reunion—which is where I grew up. Centreon: Tell us about the most common IT monitoring issues that your clients—and their end-users grapple with? Loïc Fontaine: I’d say that some of the typical issues we’ve been helping our clients solve relate to evolving the monitoring platform, things like updates and version upgrades. Regular maintenance, to actually keep the platform functional is another recurrent problem. Considering that IT monitoring is not a new practice, most of our clients have accumulated a range of monitoring tools over the years—including certain Nagios versions, for example. Aging solutions and tools are getting harder to manage for our clients. But increasingly, we help our clients embrace digital transformation of their business. With it comes the transformation of the approach to monitoring—from strictly technical to business-oriented. We’re therefore responding to our clients’ needs in terms of expanding the IT monitoring function, breaking down the historical barriers between the various IT practitioners within the company, and between IT and business operations as well. Nowadays, our clients are asking us to assist with advanced capabilities, such as setting up application monitoring and generating reports. CIOs expect their monitoring solutions to go beyond scanning the infrastructure and sending alerts to teams. What they want is more decision-making tools. They’ve realized that current IT monitoring solutions can help inform a host of business decisions as they aim to improve processes and financial outcomes. Centreon: So concretely, how does Lolokaï Conseil help with addressing these issues? Loïc Fontaine: We’re open source monitoring experts—so companies that are looking at open source to meet their IT monitoring needs or that employ such solutions call us to the rescue. Interestingly, very few consultants are dedicating their practice to open source as extensively as we have. As organizations navigate the digital revolution, their IT monitoring needs are in constant evolution. Our role is to bring CIOs and business leaders open source based solutions that deliver holistic monitoring functionalities for value-added services, such as Centreon EMS, that will help optimize IT driven business performance. Centreon: In what way does Centreon EMS help deliver value-added solutions to your customers? Loïc Fontaine: We’re finding that Centreon EMS’s four modules: Centreon EPP, Centreon BAM, Centreon MAP and Centreon MBI bring an additional layer of value over Centreon open source. Their advantages are significant for our customers—both on the IT and business side. Centreon EPP, saves considerable time during the deployment phases. Recently, I read somewhere on the Web that some people still preferred other paid monitoring solutions because they considered that Centreon was slow to deploy. This may have been the case more than six or seven years ago. Certainly not today. With Centreon EPP, each Plugin Pack comes with connectors and templates, covering nearly 300 most commonly deployed IT assets. From my observations, using Centreon EPP cuts time to deployment in half, if not more, depending on the client’s environment. It’s no small gain, for us and for our client. Centreon BAM provides a high-level view from lower level indicators. We build an application or a business service based on technical indicators which are weighted. So with Centreon BAM, our clients get a high-level view of how service is provided to business users—for example, they can see at a glance which technical component is slowing people down. Considering our clients deal with environments that are growing in complexity with each passing day, just keeping an eye on the event log is no longer enough if you want that split-second visibility. This is the value that our clients—and not just the IT people at that—get from ​​Centreon BAM. It can let them know if their users are able to work or not. Even CEOs will take a look at Centreon BAM dashboards from time to time. This is a considerable advantage for us, the monitoring experts, but also for business managers. With Centreon MAP we build monitoring dashboards of all kinds: a general weather forecast of the IT system; a few business-oriented views; or something more graphic, if the objective is to follow the status of network links, format a process, an architecture, a methodology for deployment or, for example, to get a complete view of an entire purchasing process for an e-commerce website. These dashboards are fully customizable and web-based, and better still, they can be shared directly to the users’ screen. Centreon: Who uses these reports and what benefits do they get from them? Loïc Fontaine: The typical readers for these reports are CIOs. But other executives and even CEOs will look at them. Quite a few of them, within our client organizations are requesting reports on application availability. These reports enable IT departments to account for their actions based on facts. Most in the C-Suite do not have technical backgrounds and most do not understand tech speak. Centreon MBI’s reports allow to mend the gap, showing in a very factual way the impact of IT downtime on operations and on the bottom line. The benefit for one of my clients was financial. He works for a company that manages more than 150 sites, and for which monitoring network bandwidth (including dedicated links) is strategic because it will translate into higher or lower charges from their telecom operator. The more bandwidth is used, the higher the costs. Through the monitoring system we were able to tell this customer that he was paying too much, seeing that on 80% of their sites, bandwidth was underutilized. Here was an opportunity to adjust throughput on these sites and optimize the telecom bill. No matter in which sector the customer operates, Centreon MBI remains a pertinent decision-making tool. Centreon: Tell us what you like best about Centreon products and Centreon in general? Loïc Fontaine: Several things! 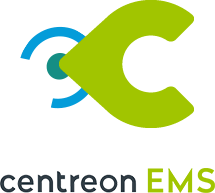 First, Centreon is a dependable software provider. 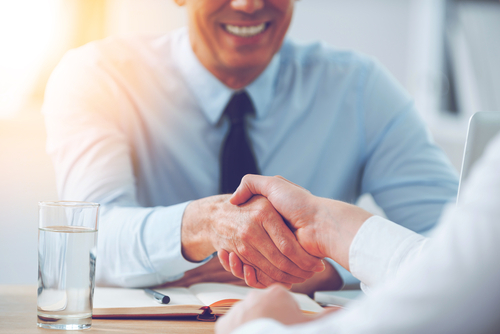 What I’ve come to appreciate most is that interacting with your teams is very easy and friendly—it was my experience with all of your service departments, across your organization, up to senior management. On the product side, Centreon is a reliable solution. We’ve never had any negative feedback from our customers on potential instability issues. Plus, I never tire of knowing that the customer is not just delighted by the service we provided, he was also deeply satisfied with the solution we recommended and deployed. Essentially, our partnership with Centreon combines uncomplicated human relationships with rock-solid expertise, providing us at Lolokaï Conseil the perfect base on which to build a portfolio of value-added services that will in turn enable our customers to bring added value to their own users. Centreon: You are a Certified Centreon EMS Partner and you’ve just added an official Centreon Trainer certification—what made you decide to extend your partnership with Centreon? Loïc Fontaine: All our consultants at Lolokaï Conseil are Centreon EMS-certified. We would just not send an uncertified consultant to a client. For us it’s a matter of credibility. It’s our credibility as experts that we’re reinforcing in adopting the official training designation. How could we provide customers the proof of our ability to integrate Centreon EMS without being duly accredited? And how could we assure them they’ll get the highest level of training on their Centreon solution if we’re not even certified by the solution provider? The new accreditation is an asset that’s supporting the expansion of our portfolio of services—not to mention our reputation as experts. Beyond that, on a more personal level, the certification paves the way for doing something that I love, training people, without missing on my business. Until very recently, I was teaching at a technical college, but had to stop for lack of time. The certification was my ticket to integrate teaching within the context of my business. Centreon: What parting words do you have for our readers? Loïc Fontaine: Alongside Centreon, Lolokaï Conseil developed an unmatched expertise that is aligned with our true passion, IT monitoring. Working with the right people and the right tools helps us focus on what you do extremely well. You do well in great part because your work is enjoyable. 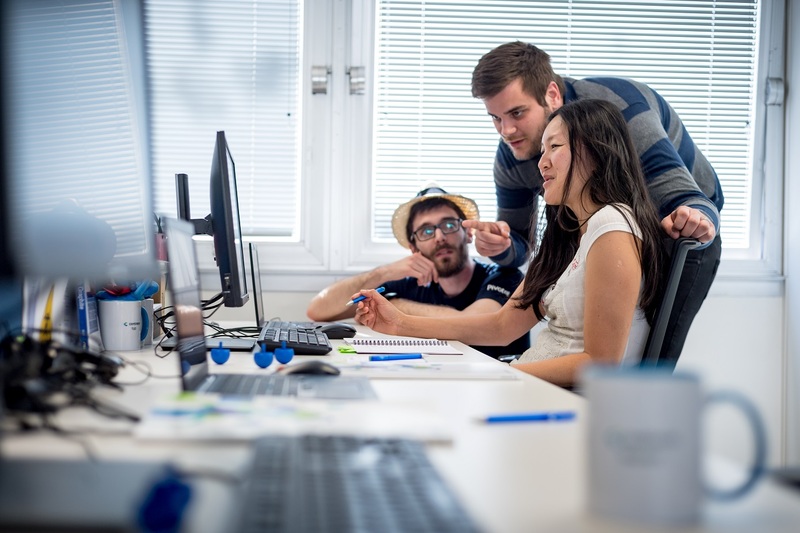 This is our experience working with Centreon people and tools—and the lasting satisfaction is for our customers. To partner with Lolokaï Conseil, visit www.lolokaiconseil.com. 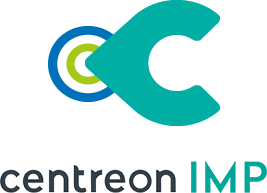 If like Loïc, you’d like Centreon to help support the growth of your IT consulting practice, contact Eileen Lee Lavergne, CMO, at communications@centreon.com.